The dragonspyre pirate: Thank you Pirate101! 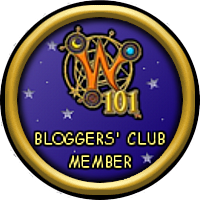 In the pirate101 may newsletter this blog was mentioned for the guide to a good ship post! Hopefully that means Pirate101 Valencia part 2 is going live sooner than we think and they want us to have a good ship! I'm going to list my favorite things about pirate101! 1 the great community. Pirate101 has a great mostly non toxic community. There are allot of nice people always willing to help out. Something that's not in alloy of games. 2 you can really get into the story line. This story unlike wiz is more focused around you which made me really get into it. Although wiz was good i didn't feel like the fate of the spiral was in my hands. 3 Jokes! Pirate101 has tons of jokes and puns that I love! Pirate101 has always made me laugh. I would love to meet the team that makes the jokes some day. 4 easter eggs. Easter eggs are subtle mentions towards things, like Tradewinds skyway and the Tradewinds on earth. 5 it never ends! The game is a never ending game. I love those types! 6 developer interactions. Unlike allot of other games the people at ki talk to their players. Way to go! 7 Tons of potential. These games have tons of potential for the players to make art and other things like that. Say this blog for example. I have tons of things to work on. 10 last but not least... the large amount of work put into the game! So much work was put in and it was very well done. I love the game and I always will! Thank you pirate101 for all the fun times! Congrats Jack! You deserve it!